On today’s Dolly Daily, we meet Vincent Harding, an African-American civil rights leader who worked directly with MLK Jr. He is credited with helping develop the non-violent theology of resistance of the Civil Rights Movement as a convert to Mennonitism. He speaks here with Krista Tippett at “On Being” about the value of community despite, because and through the deep struggles for freedom that took place in that era. In this interview, recorded in 2011, he shares the need to connect young people with their elders, so that they might learn more about how to live in community together, despite all the differences they may have. This interview, chosen by Ms. Tippett for replay after Donald Trump was elected President of the United States in November, asks Dr. Harding to answer the question “Is America possible in this fractured world?” a question many are asking after one of the most divisive presidential campaigns in history. Every day I take a walk with my little jack russell/rat terrier Dolly. She loves Victoria Park, so we usually head there first so that she can walk the oval and say hi to the Canada geese that make the park their shoulder season home. Then we head to Roos Island where she tries so terribly hard to catch squirrels, always coming up just short, as they scurry up the trees towards their winter homes. These days we also stop by the green space beside the Joseph Schneider House where she gets a little extra time for some ‘fetch’, before turning back up Queen to head back home. As we walk, I listen to a podcast. 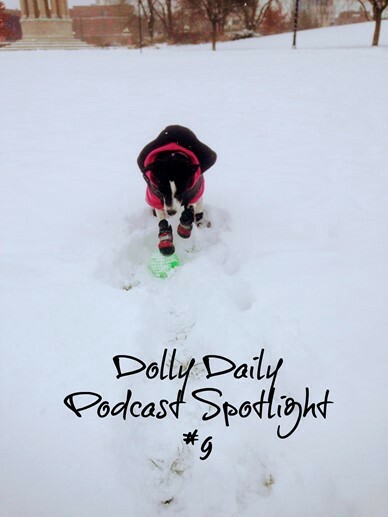 Since Dolly is just the cutest thing, and podcasts are awesome, I’ll be sharing the podcast I listen to that day, along with a short blurb about why I think it’s worth paying attention. I may miss a day here and there, and I trust that my readers will understand. My Podcaster of choice is PocketCasts. Be sure to download it today.